I've been wearing a lot of liquid lipsticks lately and quite frankly...they look awful on me. Don't get me wrong, the formulas are always lovely, (Primark have a pretty snazzy range out right now), but my lips have not been very cooperative. I have always seen makeup as paint and my face as a canvas. Prepping and maintaining your face (aka; the canvas) is so important for your make-up (aka; the paints) to reach its full potential. Sadly, my lips were really letting me down - the weather has made them very dry and I've been feeling quite anxious recently so I have been constantly biting and picking my lips - a very gross and annoying habit I have. When I applied my lip liner and liquid lipsticks, they looked incredibly flaking and this really highlighted my chapped lips. 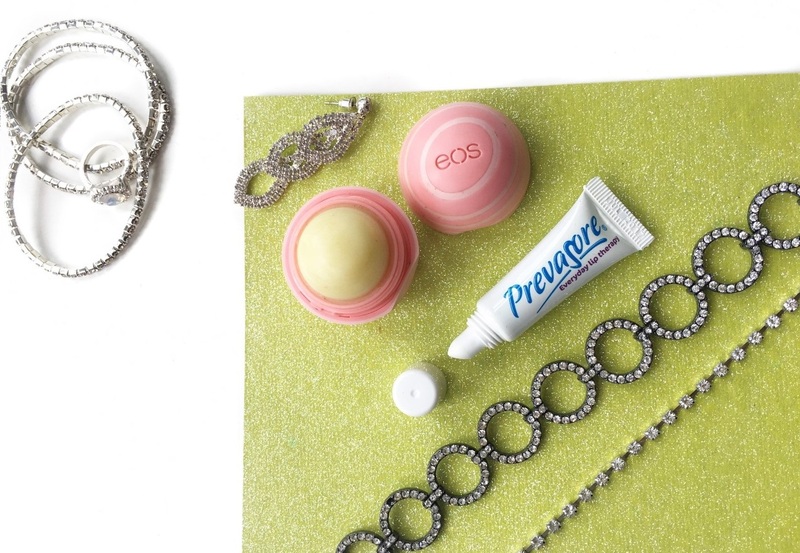 I've been using a combination of Prevasore* and my eos lip balm to improve my "lip canvas" and to prevent any dryness and cold sores. The Prevasore formula is super easy to wear under lipsticks and the liquorice scent is pretty different to my usual lip balms. Since using the balm, I've really noticed my lips are more hydrated and softer to touch - exactly what my lips were lacking in! I usually start my day with my eos balm, the coconut scent is heavenly and although the packaging is super cute, I think the results have really improved from using Prevasore. The coconut milk flavour is pretty mouth watering though, I bought a few different pots in New York last April and they have really lasted me well.